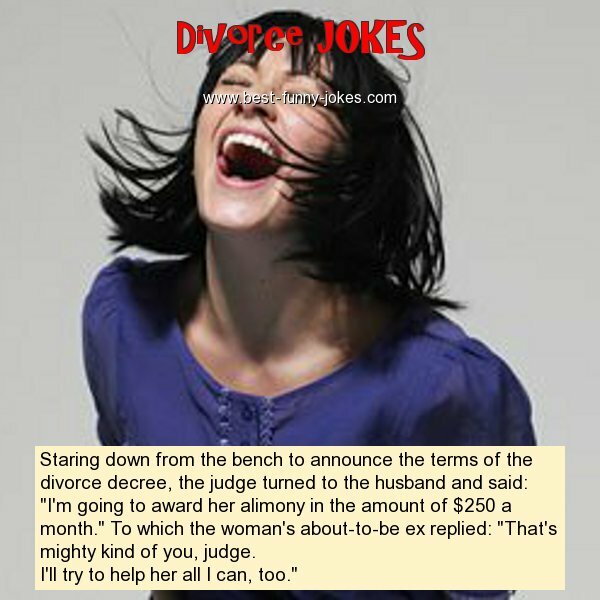 Staring down from the bench to announce the terms of the divorce decree, the judge turned to the husband and said: "I'm going to award her alimony in the amount of $250 a month." To which the woman's about-to-be ex replied: "That's mighty kind of you, judge. I'll try to help her all I can, too."